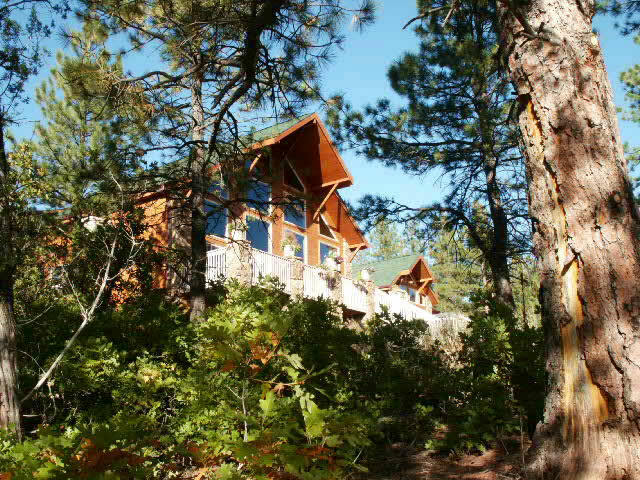 Easy Yoke Retreat House is a Christian retreat center in the mountains of Southern Colorado. We are dedicated to providing a place of quiet and solace to both individuals and groups. The eight-bedroom, sixteen-bed facility is very well suited for an individual wanting to meet with God, a pastor wanting to study, or a group looking to plan or grow together. Bring your family for a getaway, or plan your next family reunion here. Easy Yoke works great for creative groups like scrapbookers. We are situated in a lower elevation of the mountains, so access is easy in all seasons. We are conveniently located only 80 minutes from Colorado Springs, and 30 minutes from Pueblo, tucked away a few miles up from the little town of Beulah, bordered on two sides by National Forest.